Sri Lanka on Wednesday announced the first steps in a long-delayed process to compensate victims of the civil war, nearly a decade after the end of the conflict which claimed 100,000 lives. The government said it had approved draft legislation to set up an office of reparations, a key demand from international observers urging reconciliation in the ethnically divided nation. The office would decide on potentially tens of thousands of compensation claims from those afflicted by fighting that ended in 2009 with the defeat of the Tamil Tiger rebels. “It is proposed to give members of the office of reparations the right to decide on compensation where it is necessary,” said government spokesman and cabinet minister Rajitha Senaratne. 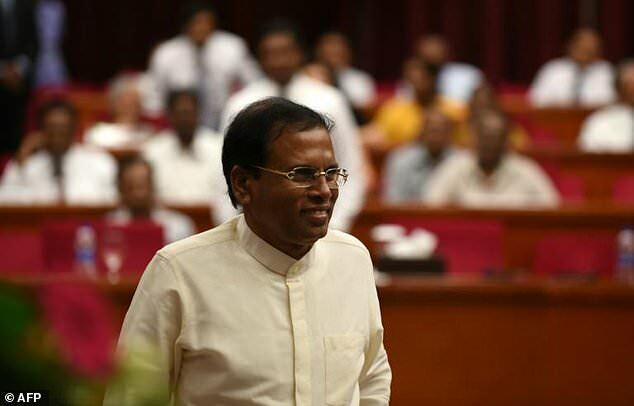 President Maithripala Sirisena has faced international criticism for the lack of progress towards reconciliation since his election three years ago. The United Nations Human Rights Council has led a chorus pressing Sirisena and his administration to take urgent steps towards addressing war-era abuses, including punishing soldiers and rebels accused of atrocities. After years of delay the government bowed to international pressure in March and established an office to trace the tens of thousands still missing since the end of the war. Sirisena’s pledge upon election in January 2015 to investigate the war and compensate its victims saw Sri Lanka narrowly avoid being slapped with international sanctions. The previous regime of strongman president Mahinda Rajapakse, who ruled with an iron fist and crushed Tamil separatist fighters in 2009, refused even to acknowledge war-era abuses. Sri Lankan forces were accused of killing up to 40,000 Tamil civilians during the final months of the war when the Tigers’ quest for independence came to a bloody end. Sirisena has expressed willingness to investigate specific allegations of wrongdoing, but maintains he will allow only a domestic inquiry and oppose any foreign investigation. Where is the money to do this? It must be borrowed and repaid with more exports of Sinhala Buddhist housemaids. Hopefully Sinhala IDPs from the north and victims of terrorism will also receive compensation. If Sri Lanka is to remain an one undivided nation, the plight of Sinhalas must be better in it than if divided. Sadly, this is not the case. It is time the majority learned to look at matters first as a Sinhalese and next as a Sri Lankan. Otherwise there is no one to consider the interests of forgotten Sinhalese. Sri Lankan interests and Sinhala interests are increasingly at loggerheads.